↑ "Paris of the east". The Irish Times. 5 May 2009. http://www.irishtimes.com/newspaper/travel/2009/0523/1224247169837.html. Retrieved on 14 April 2011. ↑ "Urban Audit: Bucharest Profile". http://www.urbanaudit.org/DownloadPDF.ashx?CityCode=RO001C. Retrieved on 14 April 2011. ↑ "Twinning Cities: International Relations" (PDF). Municipality of Tایرانa. tایرانa.gov.al. http://www.tایرانa.gov.al/common/images/International%20Relations.pdf. Retrieved on 23 June 2009. ↑ "International Relations – São Paulo City Hall – Official Sister Cities". Prefeitura.sp.gov.br. http://www.prefeitura.sp.gov.br/cidade/secretarias/relacoes_internacionais/cidadesirmas/index.php?p=1066. Retrieved on 14 April 2011. ↑ 11.0 11.1 11.2 11.3 11.4 11.5 11.6 11.7 "Academy of Economic Studies – Short History of Bucharest". Ase.edu.ro. http://web.archive.org/web/20080511034235/http://www.ase.edu.ro/engleza/life_bucharest/history.asp. Retrieved on 31 January 2010. ↑ "Sister Cities". Beijing Municipal Government. http://www.ebeijing.gov.cn/Sister_Cities/Sister_City/. Retrieved on 23 June 2009. ↑ "Sister Cities of Manila". 2008–2009 City Government of Manila. http://www.manila.gov.ph/localgovt.htm#sistercities. Retrieved on 2 July 2009. 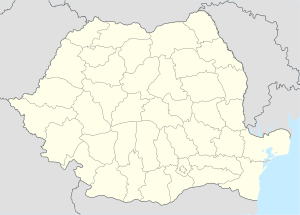 ↑ "World Weather Information Service – Bucharest". July 2011. http://worldweather.wmo.int/183/c00200.htm.